Small change is just as big as big change… It’s still a test of your will forcing you to embrace the stepping forward and lifting yourself out of the cement holding you back. I think about Reese and how many times the world has changed on her in the past two years. She went from no issues to no control, to very sick, to very hungry and chubby and so many other things in between. How on earth can I complain about change. I have no excuse but to face it and grow from the good it does me. So our schedule keeps changing, our routine is getting better, and this mommy is morphing into a whole new person. Ok maybe not completely. I’m still a night owl. Working on that. I’m still not a big fan of house work. And I still want to find happiness for me in writing and for my family in a healthy way of life. 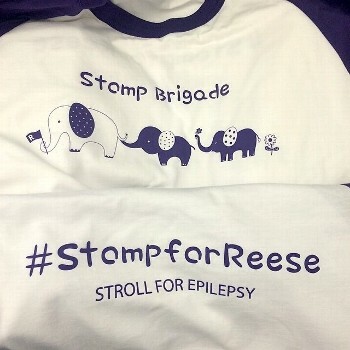 For Reese, small change is HUGE! She has gone from no eye contact to real engaging expressions and intent of communication with just a small adjustment in medication. One day she is focused on her letters and then in a flash she is rolling a ball. The stitches are almost gone and that will be a good change, we can hopefully find her more comfort and be done with all the scratching. And then we just wait to see what her next big surprise will be as she becomes more of a typical toddler, slowly comes off the meds, and finds new ways to challenge us and be her own little person. I am thrilled with her progress and so touched by the change I see in her I want everyone to experience her little mannerisms and her super sweet disposition. (She seems to be voluntarily giving out hugs). It’s definitely worth savoring, especially since I keep feeling like it will change again. But I keep trying to tell myself THAT change is also ok.